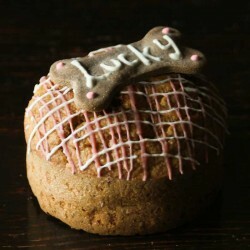 Your dog will loved this sublime personnalised cake with their name on the top. Healthy as well ! 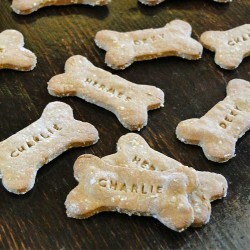 A feast for your eyes, a treat for the taste buds of your dogs! 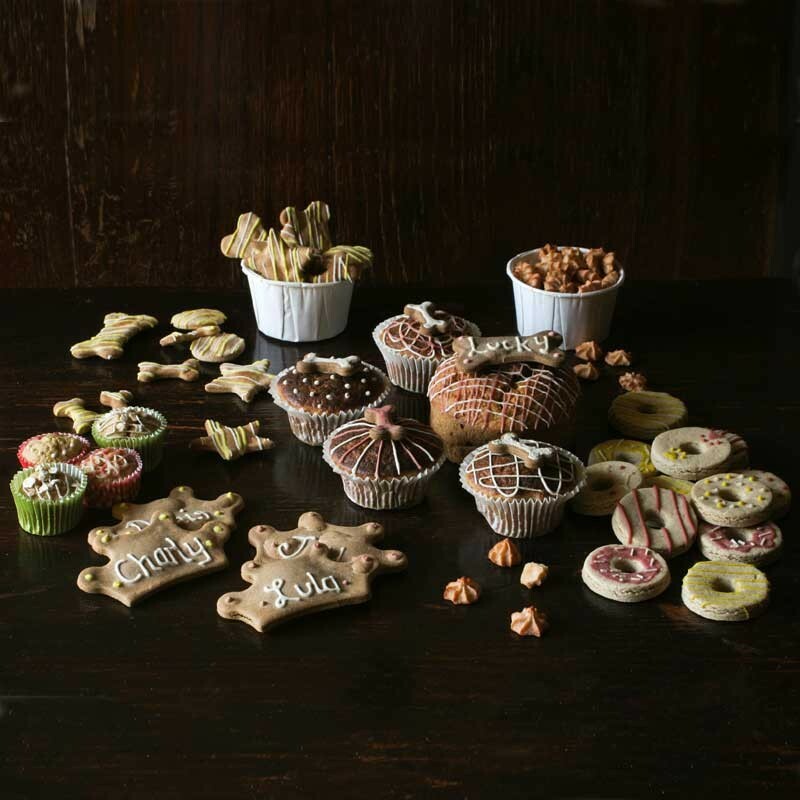 These personnalisable cakes have the advantage of being soft, teamed with the bone shaped crunchy cookie, a perfect blend of texture that will delight all dogs. 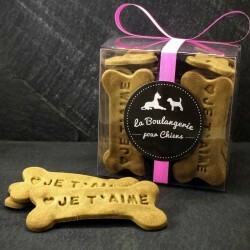 Our customized cakes for dogs are made ​​with flour whole oat flour, carrots, eggs and honey, all topped by a bone shaped cookie with the name of your dog . 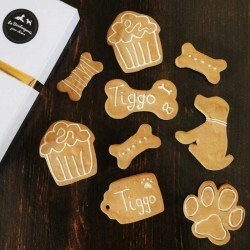 This personnalised cake will be a wonderful gift for your dog or your friends' dogs! 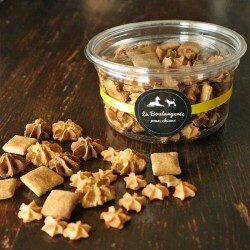 100 % organic ingredients, made with love in France. 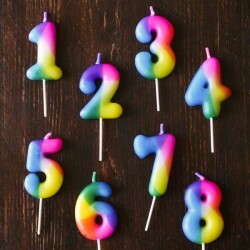 Please note that this is a handmade product, all the cakes may not look the same. Please always leave a bowl of fresh water available. 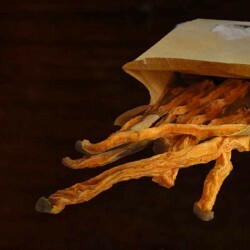 Store in a cool, dry place and use within 5 days. 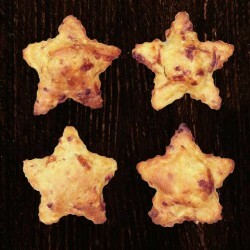 Suitable to freeze.